Take 10 mins between 11th and 18th November, make a ‘Wild Pollinator Count’, and add your data to this large-scale, annual survey. It’s simple and you’ll be helping increase our knowledge of important insects in our region. The Merimbula star-hair (Astrotricha sp. Wallagaraugh) is an endangered shrub found in only two places in NSW, in bushland at Tura Beach and along the banks of the Wallagaraugh River. Little is known about the Merimbula Star-hair. We don’t know how the plant reproduces or which pollinators visit them. 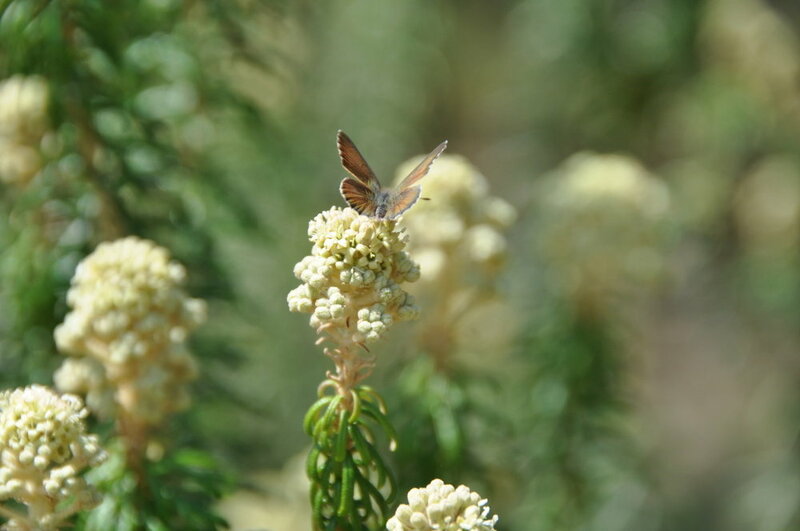 This year, the Bega Valley Shire Council, Atlas of Life in the Coastal Wilderness, National Parks and Wildlife Service and the Office of Environment and Heritage are working in collaboration with the Wild Pollinator Count to answer some of these questions.